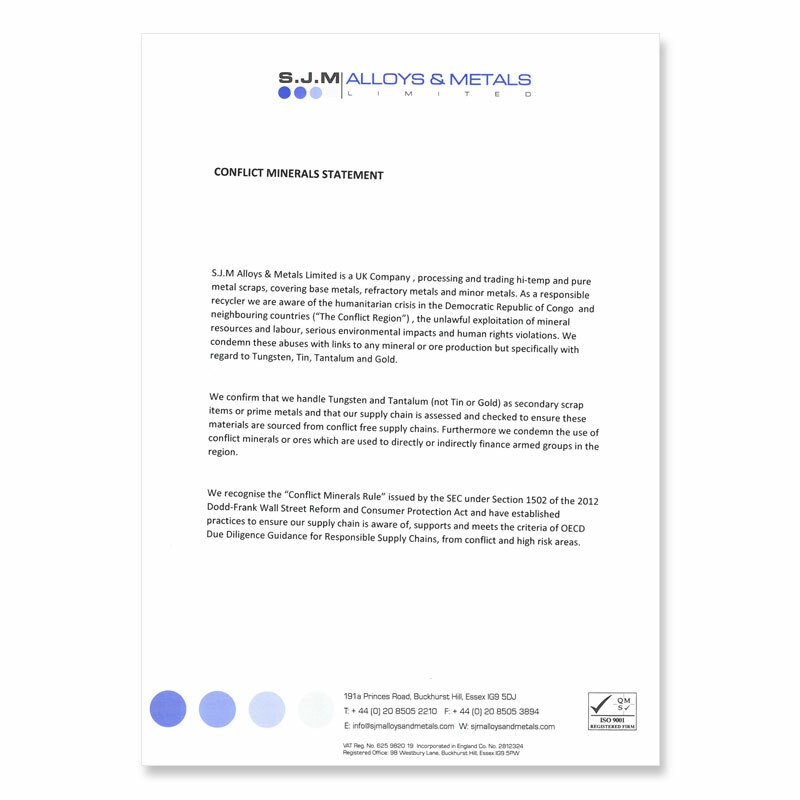 S.J.M Alloys & Metals Limited is a UK Company, processing and trading hi-temp and pure metal scraps, covering base metals, refractory metals and minor metals. As a responsible recycler we are aware of the humanitarian crisis in the Democratic Republic of Congo and neighbouring countries (“The Conflict Region”) , the unlawful exploitation of mineral resources and labour, serious environmental impacts and human rights violations. We condemn these abuses with links to any mineral or ore production but specifically with regard to Tungsten, Tin, Tantalum and Gold. 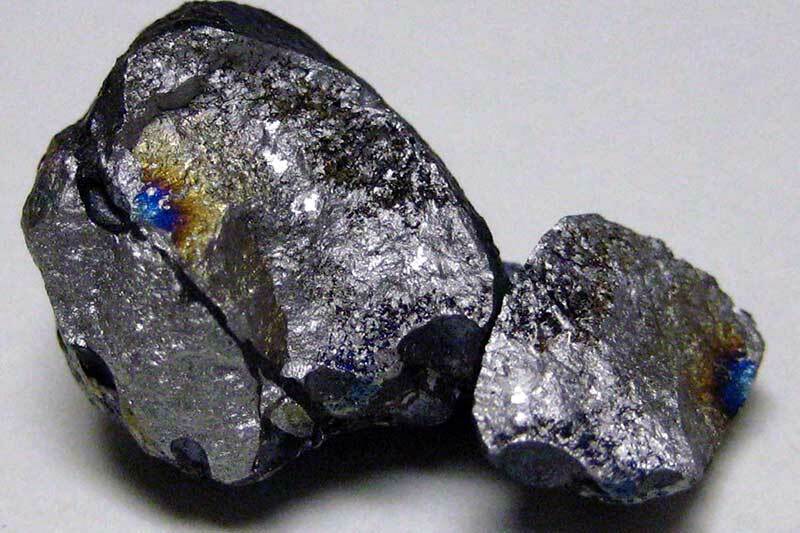 We confirm that we handle Tungsten and Tantalum (not Tin or Gold) as secondary scrap items or prime metals and that our supply chain is assessed and checked to ensure these materials are sourced from conflict free supply chains. Furthermore we condemn the use of conflict minerals or ores which are used to directly or indirectly finance armed groups in the region. We recognise the “Conflict Minerals Rule” issued by the SEC under Section 1502 of the 2012 Dodd-Frank Wall Street Reform and Consumer Protection Act and have established practices to ensure our supply chain is aware of, supports and meets the criteria of OECD Due Diligence Guidance for Responsible Supply Chains, from conflict and high risk areas.